This book traces Moravian educational ideas and practices in the eighteenth century. A transnational fellowship rather than a nation state, the Moravians had established themselves by the early 1740s as an Atlantic community under the leadership of a German count, Nikolaus Ludwig von Zinzendorf. This cosmopolitanism, paralleled only in the aristocratic culture and the expanding network of masonic lodges, became a natural, self-evident experience of the Moravians in Germany, Holland, England, the Caribbean and North American colonies, and Africa. What made this global educational experience possible? This book answers the question by exploring Moravian education at three different but closely intertwined levels: the place of Moravian education in the eighteenth-century political and intellectual landscape, its attention to the individual development of its members, and its distinctive communal organization. The book is divided into five sections. 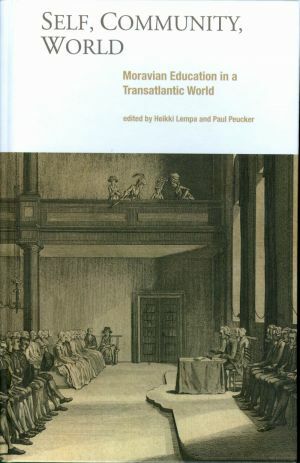 In the first section, Jon Sensbach explores the Moravians' transnational and Atlantic experiences and lays the groundwork for many of the subsequent essays. Alexander Schunka traces the connections between the ancient Unity of the Brethren and the renewed Moravian Church. In the second section, Julie Tomberlin Weber's innovative work places Moravians in the context of eighteenth-century German cultural history by exploring Lessing's Zinzendorf reception, while Jonathan Yonan situates Moravian experience in eighteenth-century England. Peter Vogt surveys the limitations of Moravian educational thinking. Continuing this exploration in the section on Self, Katherine Faul and Pia Schmid study the educational uses of autobiographies and pastoral listening, while Gisela Mettele analyzes the Moravian practice of autobiographical writing as a collective ritual. The section on Art examines a central component of the varied Moravian educational experience. Sarah Eyerly's and Laurence Libin's essays investigate the role of music and instruments as medium and form of Moravian communal life. Paul Peucker's study shows the varied uses of images in Moravian communities. In conclusion, Heikki Lempa sets the educational practices of the Moravians in the larger context of the eighteenth-century world. Each of the essays in Self, Community, World explores the fascinating paradoxes of a dynamic religious organization that both reflected and resisted the culture of the Enlightenment. It is a welcome contribution to the growing body of literature on the Moravians of the eighteenth century.